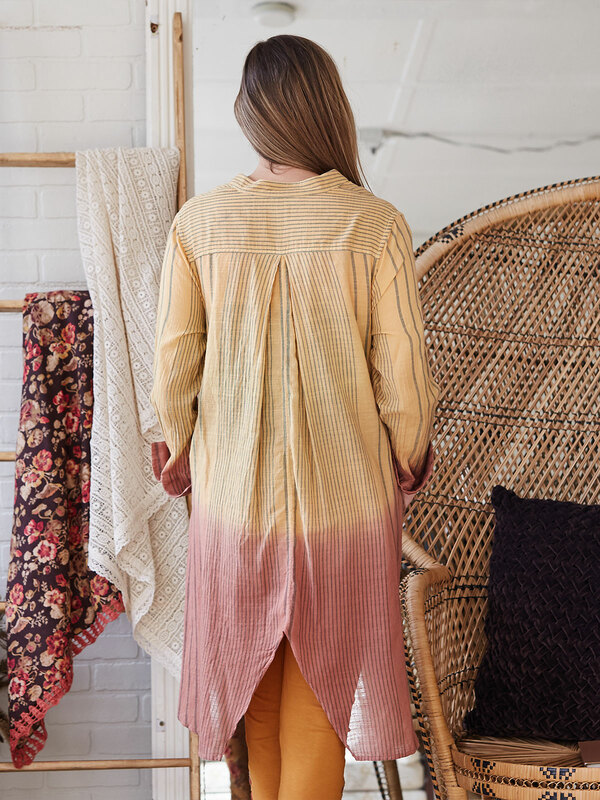 A hand loomed cotton stripe with a delightful ombre dyed effect. 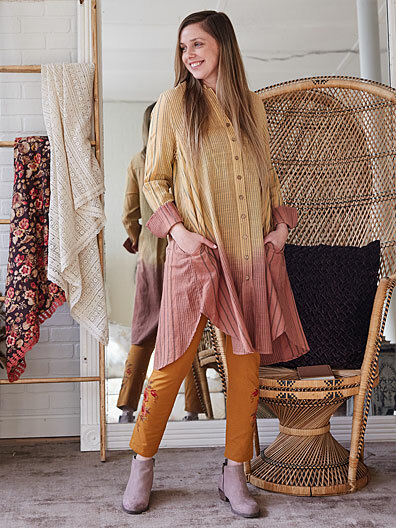 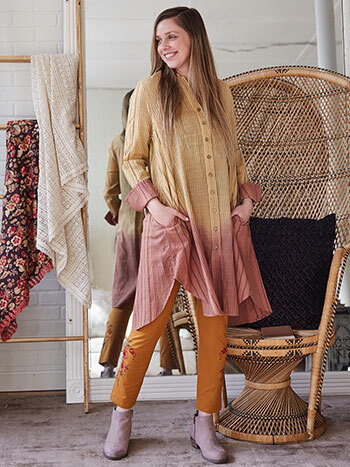 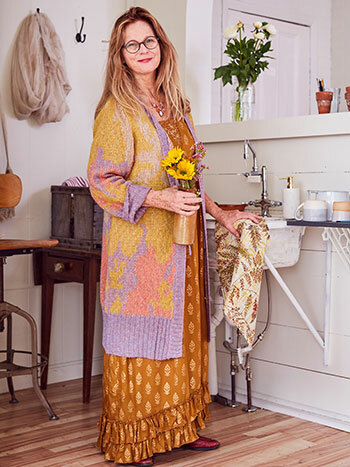 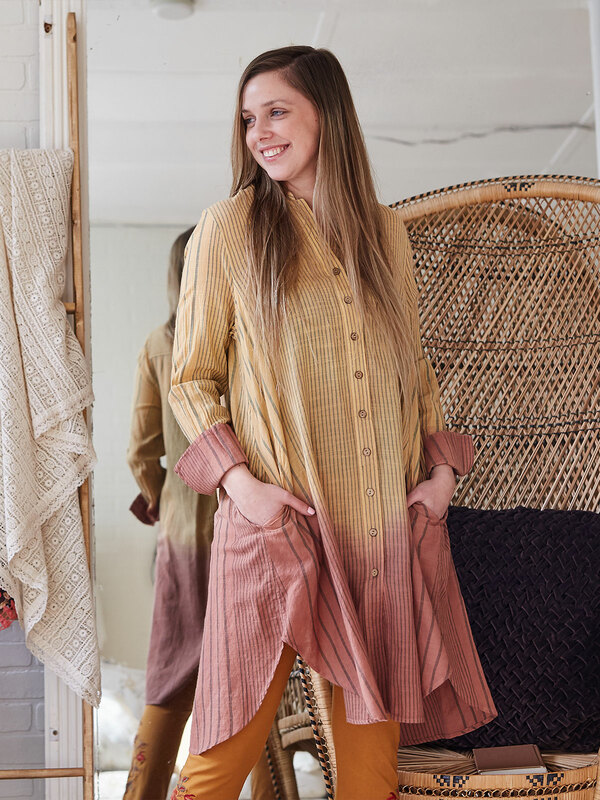 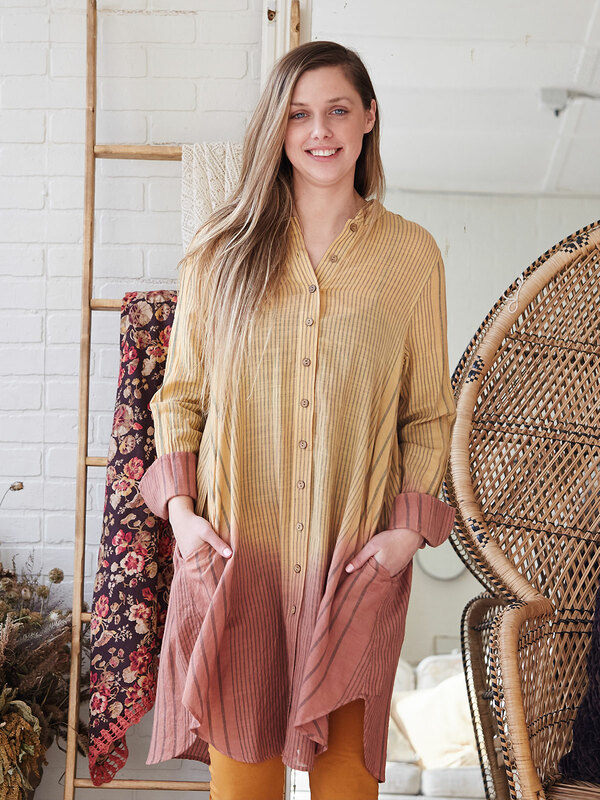 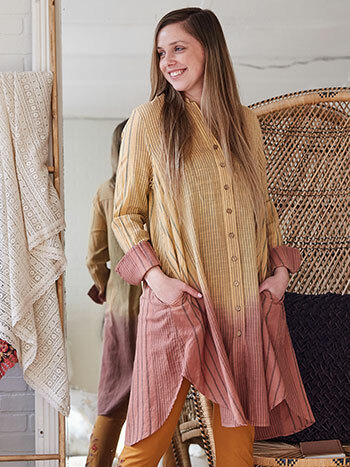 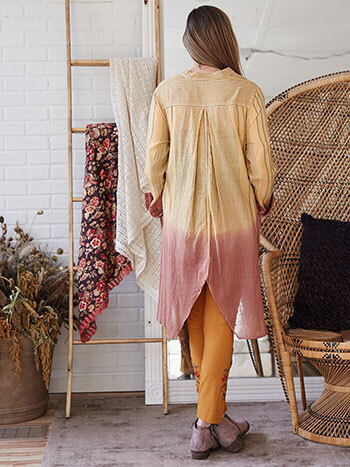 The French Stripe Tunic in Ombre Gold is styled luxuriously long with our all natural coconut shell buttons. 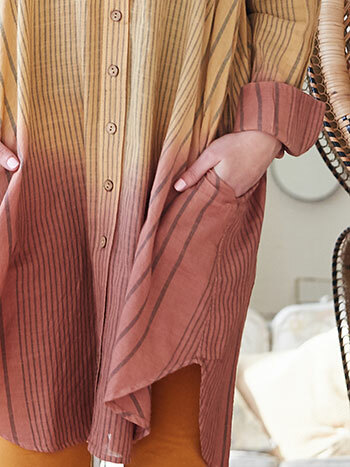 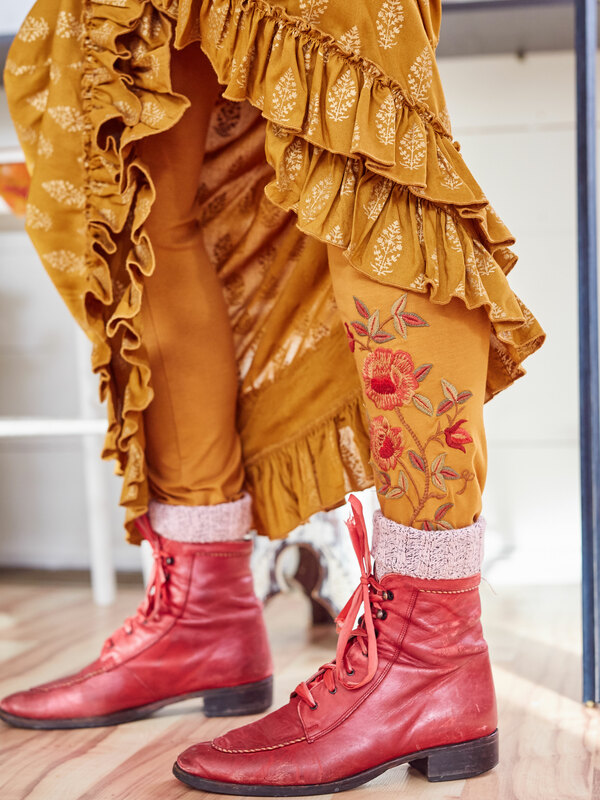 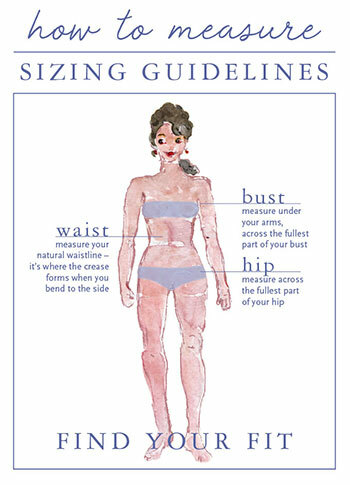 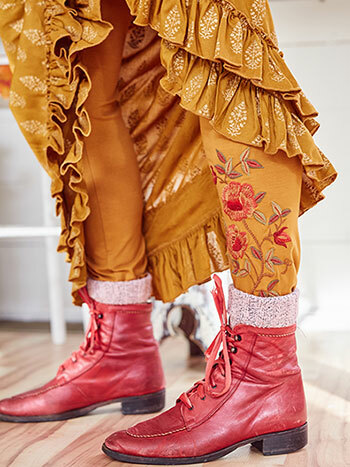 Side seam pockets, shaped hem, inverted pleat at center back.